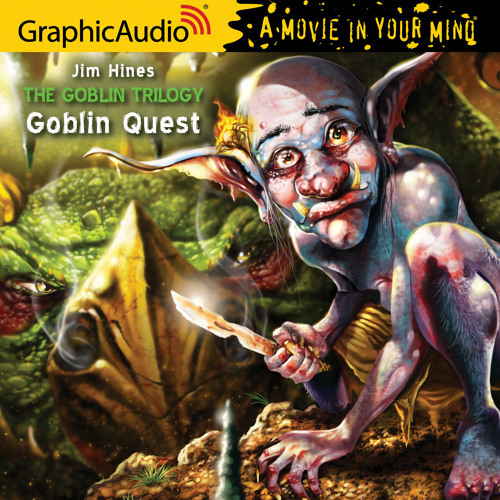 Jig the goblin was the runtiest member of an admittedly puny race. Jig was scrawny, so nearsighted as to be almost blind, and had such a poor self-image that when he chose a god to worship it was one of the forgotten ones - after all, what other sort of god would have him as worshiper? He also had a cowardly fire-spider for a pet, a creature that was likely to set your hair on fire if it got into a panic. Made to stand tunnel watch by the goblin bullies who'd been assigned the job, it was just Jig's luck to be taken captive by a group of adventurers - with the usual complement of a dwarf warrior, a prince out to prove himself, his mad wizard brother, and an elfin thief. Forced to guide this ill-fated party on their search for the Rod of Creation - though Jig had no more idea how to find it than they did - he soon had them stumbling into every peril anyone had ever faced in the fantasy realms. And they hadn't even found the Necromancer or the Dragon yet!